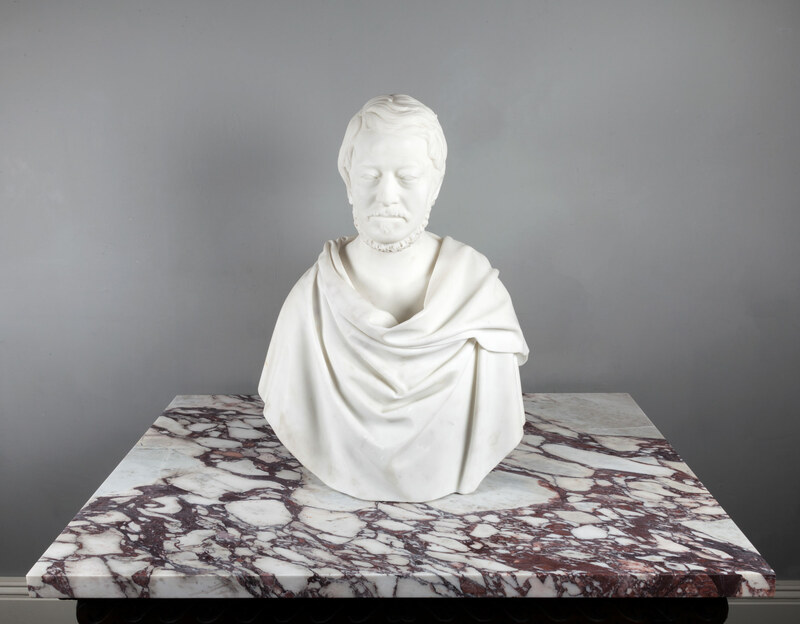 Life-sized and beautifully carved in the purest of white statuary marble. 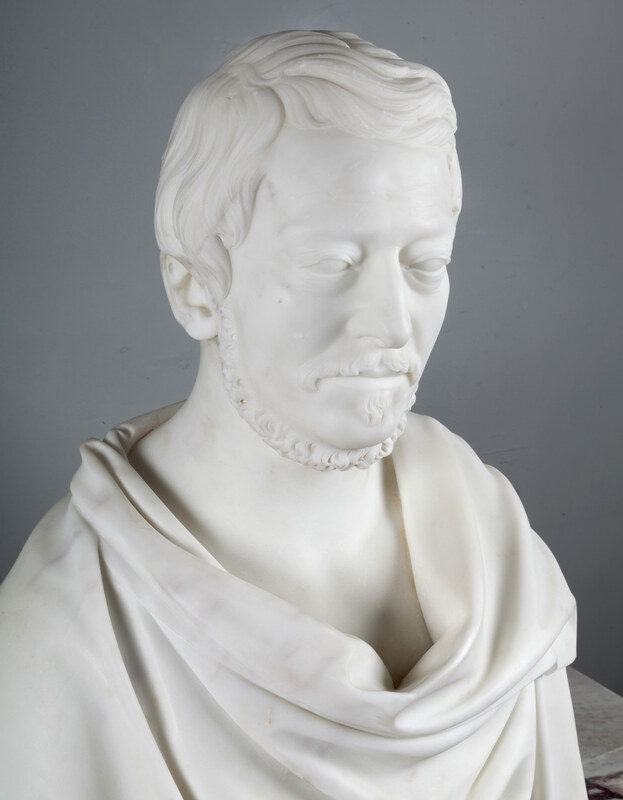 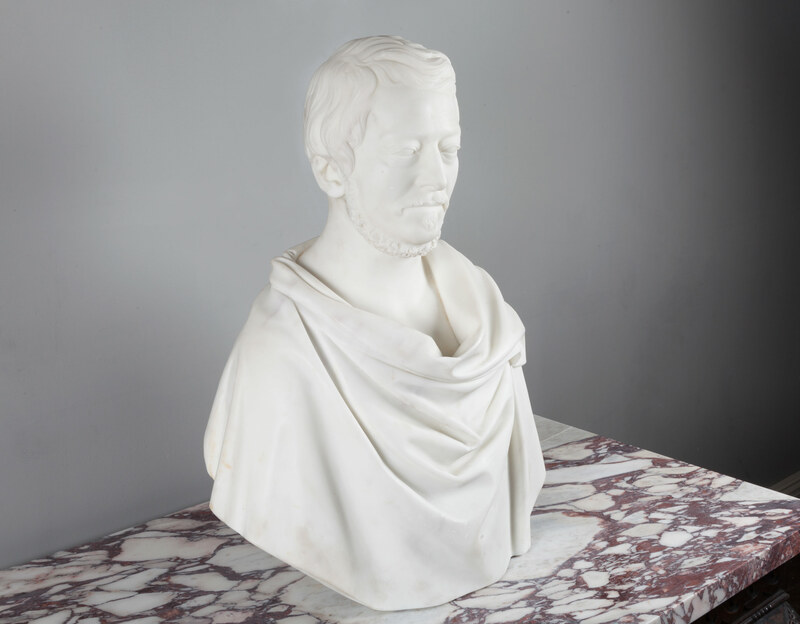 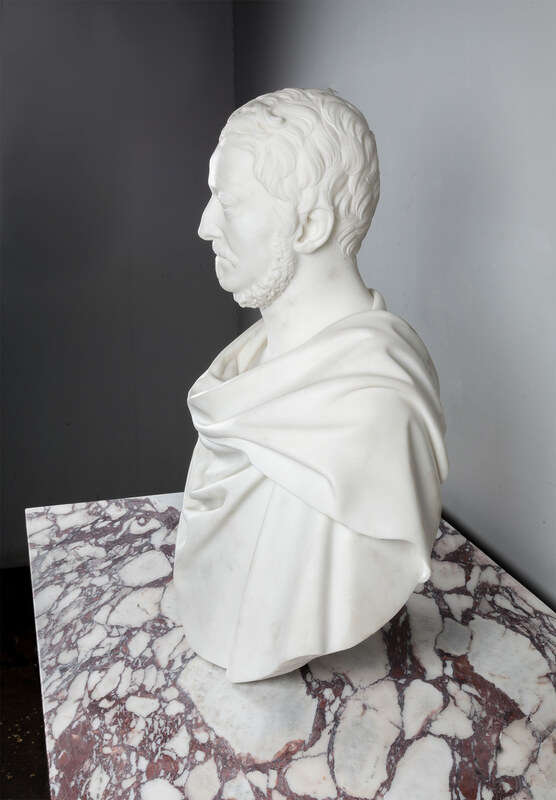 The bust is of Sir Aubrey DeVere Hunt, 2nd Baronet (1788-1846), with stylised beard and wearing a Roman toga. 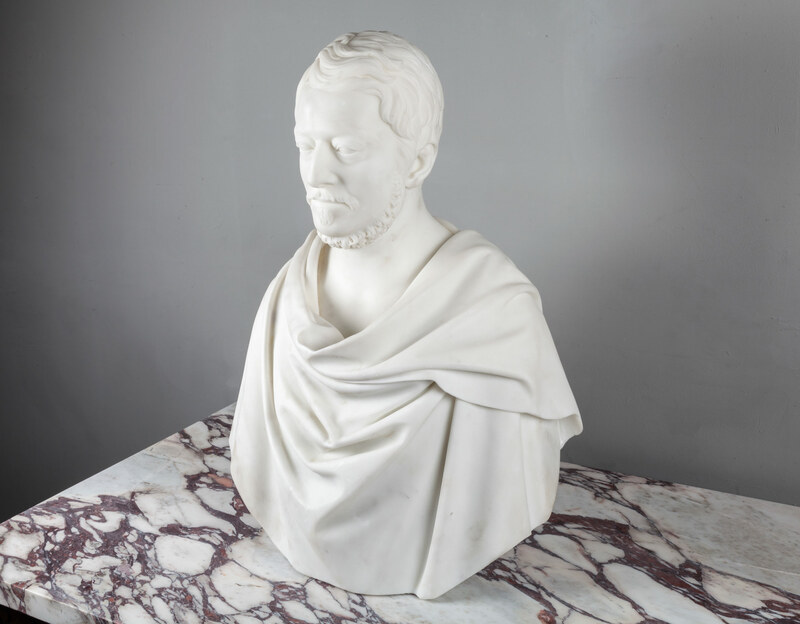 Sir Aubrey (Hunt) de Vere, 2nd Baronet (28 August 1788 – 5 July 1846) was an Anglo-Irish poet and landowner. 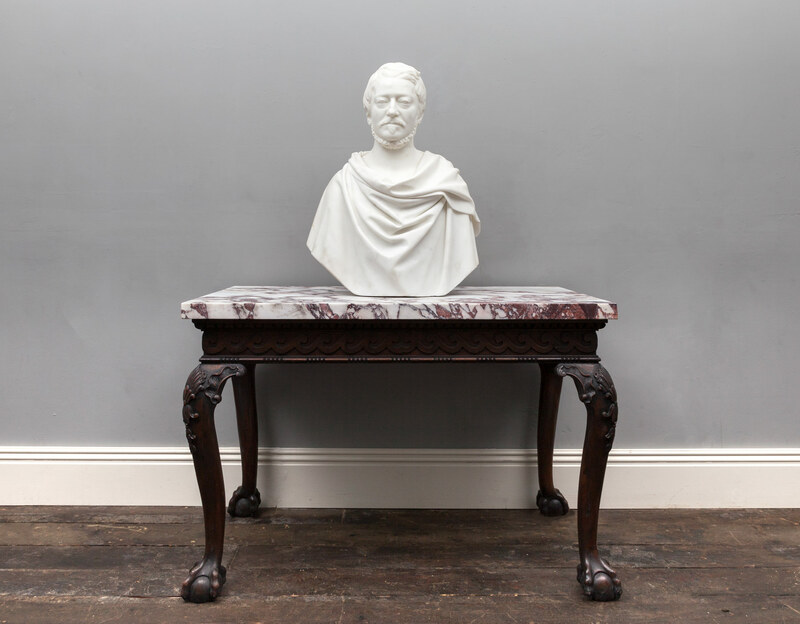 Wordsworth called his sonnets the most perfect of the age. 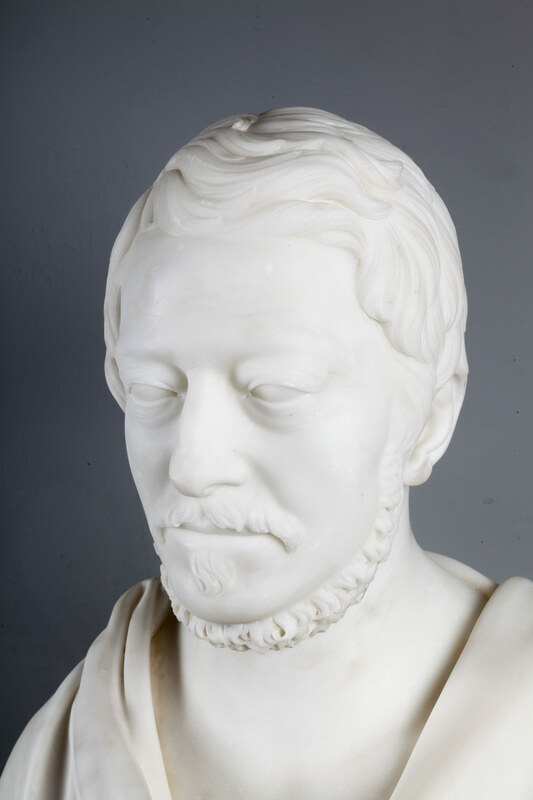 These and his drama, Mary Tudor: An Historical Drama, were published by his son the poet Mr. Aubrey Thomas de Vere in 1875 and 1884.